Modibodi is the original period, leak & sweat proof performance underwear brand! Where sassy comfort meets the ultimate in technology protection. 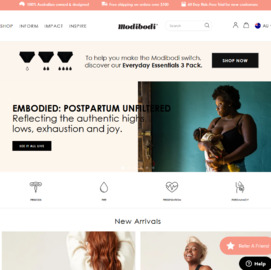 Click a Coupon or click Start Shopping to earn 8% Cash Back at Modibodi.